Do You Have Safe Tyres? Munster Tyres > News > Do You Have Safe Tyres? As your only point of contact to the road, your tyres are absolutely crucial to your safety when out in your vehicle. They perform a number of key roles, from maintaining traction to the tarmac to giving you an indication of your car’s overall health, the importance of your tyres really can’t be overstated. However, in order to perform these extremely important tasks, you need to make sure they are in good shape. 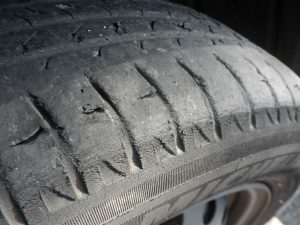 In this article, Munster Tyres will look at some of the ways that you can check whether the tyres on your vehicle are safe. One of the most obvious ways you can tell whether your car healthy is by checking the wear on the tread patterns of your tyres. Excessive wear on a specific point of your tyre could well mean that there is something wrong with some of your suspension components or, alternatively, it could mean that there is something wrong with the wheel alignment. If there is excessive wear on your tyre treads, they must be replaced immediately. Contrary to popular belief, these treads do far more than offer grip. In fact, the ridges and ravines allow water and mud to safely travel and escape from under your tyres – without losing contact with the road. While checking for tread wear is a great way to assess the health of your tyres, it’s not the only way; cracks and bulges are another sign that your tyres may need replacing. 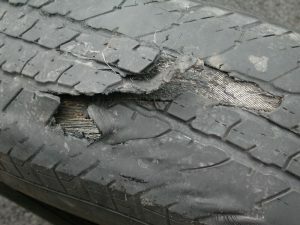 Bulges in the sidewall of a tyre indicate that the internal structure of the tyre itself has been compromised, and usually result due to impact damage to the tyre. Cracks, on the other hand, are usually a sign that the tyre compound has hardened, either do you to ageing or excessive levels of heat. If you do notice a crack in your tyre, it’s best to get it checked by a professional. 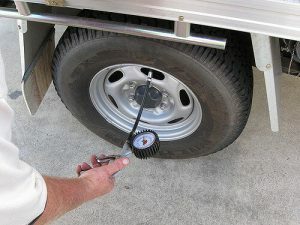 As we all know, checking that we have the correct tyre pressure is vital; if they are inflated to the correct level, you will have the best possible grip to the road. However, if the pressure is wrong, this can carry a host of issues. Over inflated tyres are dangerous because they are more likely to suffer a blowout, largely because they are too rigid to perform effectively. Under inflated tyres are essentially problematic because they make too much contact with the road, which can make your tyre too flat at the base. Ultimately, this means your tyre will erode quicker. If you are looking to replace worn or damaged tyres to ensure safe driving, the professionals at Munster Tyres can provide you with a reliable and competitively priced new set. With many years of experience and a highly trained team, if you are in need of replacements, repairs, servicing >or MOT, we are sure to be able to provide an effective and efficient solution. For a trustworthy garage in West London, get in touch with our team today.